All code words for one thing: your kid is stubborn. But don’t worry, having a strong-willed child is actually a great thing. Not only are they master negotiators and playground leaders, their innate persistence is going to serve them really well in life. When my son was four, I told him to get his shoes on because we had to go to the shops. He looked at me and said he had other plans. I raised an eyebrow and hurried out to the car, and as an experiment, I sat there for ten long minutes. Surely he’d freak out and run after me when he realised I was gone? When I finally went back in to see what was going on, my son had happily made himself a Vegemite sandwich and settled in with a book. This was my four-year-old. A kid with plans. For a while, I worried about my son’s hard-headed ways. How on earth was I going to raise a child who had strong opinions on just about everything? A child who would only wear shorts in winter, wanted to walk himself to school (alone) at age 5, and had creative objections to Frozen‘s plot line? As always, my mother was right. 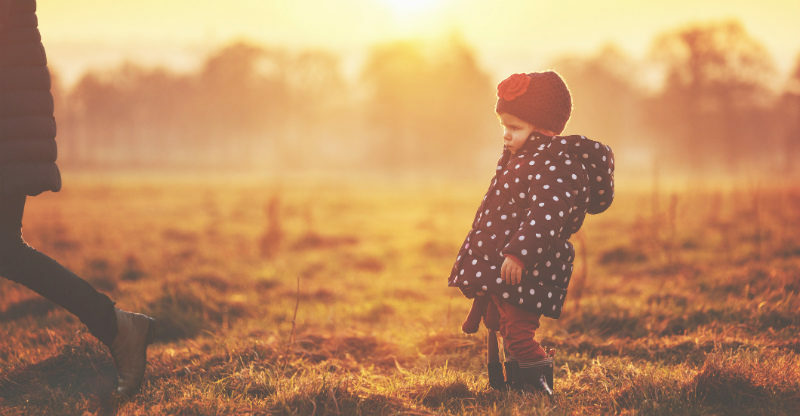 According to a recent 40-year-study from the American Psychologists Association, stubborn children may well be destined to succeed. The study, which tracked children from their primary years right into adulthood, found that those children who regularly broke the rules and defied parental authority, were also the ones most likely to become educational over-achievers and high-earning adults. The authors of the study concluded that rule-breaking kids are probably more competitive, which leads to better grades, and results in an adult who’s more likely to fight for their rights (and salary). Ka-ching! This, I tell myself, is all good news. It’s also a bit frightening. Our hard-headed, sass-talking children are basically brushing up on their negotiating skills so they can one day rule the world. Research aside, what’s actually going on in our children’s heads when they dig in their heels and absolutely refuse to do certain things? Professional therapists point to a few common traits in stubborn children: they tend to get stuck on things and refuse to budge. And logic doesn’t always factor into this (hence my son shivering in his shorts on a mid-winter day, because he just.won’t.wear.pants). They have very strong instincts about things, and they’ll stick to what they believe in, at any cost. For parents, this can feel like a power struggle. A blatant disregard for the rules. But some therapists would argue that it could be more associated with an inner wisdom, or an intuitive intelligence that doesn’t always feel the need to comply with authority. In other words, our stubborn children are also highly sensitive. They’re inwardly motivated, and when they want to do something, watch out – because they will. Partner with them – As parents, we feel the need to tell our children what to do. I mean, we’re the adults right? But stubborn children are particularly sensitive to your tone, your choice of words, and your overall attitude. If you’re coming down hard, they just come down harder. Instead, try partnering with them. Think of it as sideways parenting: instead of coming at them head-on with rules, use calmness, inspiration and creativity to accomplish things. This could be as simple as giving your child a bit more control, asking their opinion, and giving them a few (limited) choices so they feel they’re on your side. Negotiate – Stubborn children double down on their beliefs for a reason. Instead of dismissing their preoccupations, try asking questions. What’s going on? What do you need? How can I help you? Sometimes just by explaining their own internal logic it can defuse the situation. It also opens up the possibility for negotiation. Sure, there have to be some basic ground rules in every family, but when you agree to some harmless negotiation with your stubborn child, you’re essentially saying – I get it, your input is important, let’s make a deal. Encourage relatable qualities – While it can be hard to see through the foot-stamping and rule-breaking, your child’s stubborn qualities also go hand-in-hand with independence, resilience, and decisiveness. All brilliant qualities. Encourage your child to act on these admirable traits. Give them the space to develop them, while also being a strong leader yourself and reminding your child they still have a lot to learn and must live within healthy boundaries. Do you have a stubborn child? Tell us what kinds of strategies you use at home.